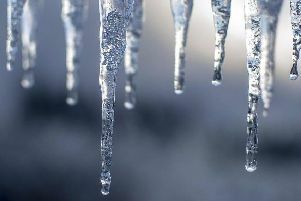 Temperatures will plummet once again today. The weather in Wakefield is set to be bright today, as forecasters predict sunny spells throughout the day. However, temperatures will plummet once again today, with snow on the horizon. What will the weather be like this morning in Wakefield? This morning will be cool, with the temperature of 0C climbing to 3C by 12pm. There will be sunny spells throughout the morning. The Met Office has also issued two yellow weather warnings, with a warning for ice in place for Scotland until 12pm today and a warning for snow in place from 9pm tomorrow (29 Jan) until 12pm on Wednesday (30 Jan). This warning covers East Midlands, East of England, London & South East England, South West England, West Midlands. 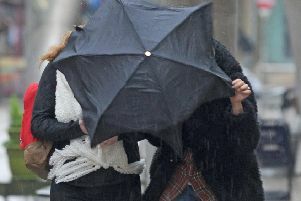 What will the weather be like this afternoon in Wakefield? A largely clear evening, with temperatures falling rapidly below freezing after dark. Scattered snow showers spreading in from the west later, though remaining largely dry in the east. Minimum temperature -3 °C. What will the weather be like this evening and tonight in Wakefield? This evening will become quickly dark, but remain dry, with the temperature dipping after 5pm. The temperature throughout the rest of the evening and overnight will be 1C. What will the weather be like tomorrow in Wakefield? Tomorrow will see cloud and light rain throughout the day, with a peak temperature of 4C and a minimum temperature of -1C. What is the long-term forecast for Wakefield? Friday will see light snow hit during the early hours of the morning, from midnight until around 9am. Maximum temperature of 3C. Looking further ahead, the Met Office UK Outlook for Friday 1 Feb to Sunday 10 Feb said: “February will begin cold with rain, sleet and snow likely across northern parts, easing and edging slowly southwards. “This will be followed by brighter but showery weather through the weekend, with snow showers in places. “Thereafter, it will stay unsettled with further spells of rain, sleet and snow, interspersed by brighter and showery interludes. “Snow is possible across most parts of the country at times, with the potential for some occasionally disruptive snow, although there is uncertainty in any detail.